The Fovitec portable, folding shooting table (24"x40") is an easy-to-use tool ideal for professional and hobby product photography. Easily set up lights above and below this table due to its translucent material. The durable acrylic surface features a glossy finish on one side, and a matte finish on the other. 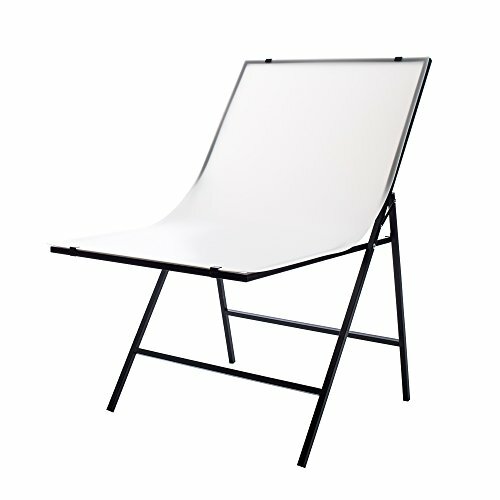 The support frame is already pre-assembled and folds easily together like a chair. Simple place the acrylic surface on top of the frame and secure it via the attached clips. There is no need for extra tools as this item consists of only two pieces to assemble.